2016 November 1 Steve Nguyen, Ph.D. I was contacted by a journalist with The Guardian, a popular UK newspaper, for my thoughts about why having too little to do at work is bad for your mental health. I am reposting my responses below. Question: Is having too little to do, or being under-stimulated, at work similar to being overworked? Answer: If we assume that having too little to do or being under-stimulated at work falls under the umbrella of boredom (Mann, 2007) and that there’s a relationship between boredom at work and employee mental well-being (Warr, 2005), and that mental health is comprised of many dimensions (two of which are subjective well-being and positive self-regard), then being bored at work (not enough to do or not stimulated) and being overworked are similar, albeit they occupy different points on the spectrum. With regard to being overworked, researchers have found that changes in job demands predict future burnout (Schaufeli, Bakker, & Van Rhenen, 2009). Question: Is having too little to do, or being under-stimulated at work, bad for your mental health? If so, why does this cause stress/poor mental health? Answer: Related to my previous answer, being bored (having too little to do or being under-stimulated and when associated with poor mental well-being & poor positive self-regard) and being overworked can both be bad for a person’s mental health. When we talk about an employee’s subjective well-being, it’s important to distinguish between “context-free” well-being and “domain-specific” well-being (Warr, 2005). A person’s well-being with respect to his or her job is a job-related “domain-specific” well-being (i.e., limited to the workplace & job). It’s also possible and we do see this happen, where it’s family-related “domain-specific” well-being. That is, situations in an employee’s family life/environment have a negative impact on his/her subjective well-being and the employee carries this into the workplace. We can see how just these two streams in the “domain-specific” well-being can be challenging to separate within a person’s mental state of mind. Put it simply, we can take work stress home, but the reverse is also true, we can just as easily take home stress with us to work. One very important note we need to remember is this: an employee’s job may influence his/her well-being, the employee’s well-being may impact how he/she perceives the job, or characteristics of the employee can determine well-being or perception of the job (Warr, 2005). Also critical to mental health are feelings that we have about ourselves as a person. In addition to subjective well-being is the concept of positive self-regard. We can think of positive self-regard in terms of a person’s self-esteem, self-acceptance, and self-worth (Warr, 2005). Question: What is the optimum level of work for good mental health? Answer: There is no magic formula for what level of work would contribute to good mental health. As I have shared, the reason is because the factors that lead to good or poor mental health are many and they can be difficult to separate from other related factors (Warr, 2005). That said, there are still things that organizations can do to help their employees stay engaged in their jobs. In his book The Best Place to Work, Ron Friedman (2014) shared that one key lesson to getting employees engaged in their work is to offer “opportunities for them to experience autonomy, competence, and relatedness on a daily basis.” He explained that employee autonomy is when workers have a sense of choice. Companies can promote employee autonomy by explaining the reason/logic when tasks are presented, by giving employees the flexibility about how and when a task is done, and by giving employees options on where they can do their work (e.g., telecommuting). 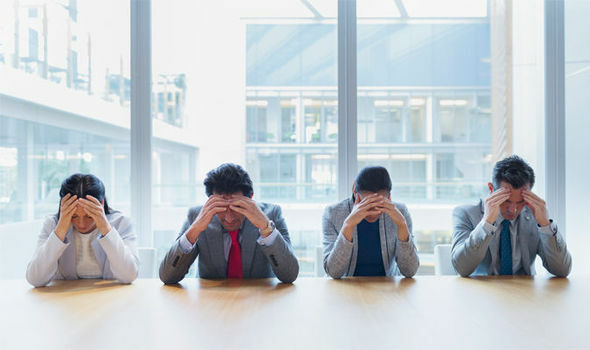 Takeaway: If we tie our discussion about boredom at work (i.e., having too little to do or being under-stimulated) as well as being overworked to mean being generally dissatisfied with a job, then there’s a strong connection between job dissatisfaction and mental health. Research suggests that an employee’s level of job satisfaction is an important factor influencing his or her health (Faragher, Cass, & Cooper, 2005). In analyzing nearly 500 studies involving over 250,000 employees, researchers have found a very “strong relationship between job satisfaction and both mental and physical health,” and that “dissatisfaction at work can be hazardous to an employee’s mental health and well-being” (Faragher, Cass, & Cooper, 2005, p. 108). Friedman, R. (2014). The best place to work: The art and science of creating an extraordinary workplace. New York: Perigee. Warr, P. (2005). Work, well-being and mental health. In J. Barling, E. K. Kelloway, & M. R. Frone (Eds. ), Handbook of work stress (pp. 547-574). Thousand Oaks, CA: Sage. 2016 September 30 Steve Nguyen, Ph.D. There are many work-related problems that crop up as a result of work stress. These are similar to stress experienced outside of the workplace (i.e., involving physical, psychological, or behavioral reactions). Employees complain about and/or experience sleep disorders, inability to concentrate or focus, feeling exhausted or burned out, feeling irritable, engaging in arguments or conflicts with coworkers or supervisors, or withdrawing and isolating from others. As mentioned in the “Mental Health at Work” series, if work/job stress is prolonged, frequent, or intense, individuals are at higher risk for psychological problems, such as depression, bipolar, anxiety, panic attacks, or even PTSD. Collectively, these problems, if left unchecked, contribute to larger organizational issues, such as increased absenteeism, medical/disability cost, high turnover, reduced productivity, etc. Indeed, work stress is a serious and growing problem that harms employees and organizations (Quillian-Wolever & Wolever, 2003). It is easier to make a case for why we need to combat work stress than it is to go about combating work stress. Simply stated, it’s hard to manage stress effectively. For example, the American Psychological Association (APA) has a resource titled, “Coping With Stress at Work” that suggests 7 steps to managing stress in general (e.g., track your stressors, develop health responses, etc.). 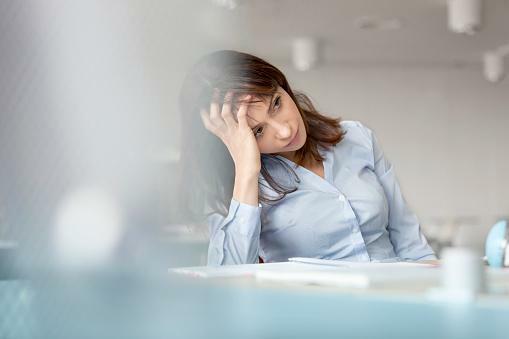 However, what that particular resource and many other resources about combating/managing stress fail to point out is that managing work stress is multifaceted and involves individually-targeted as well as organizationally-targeted interventions. Many resources only touch on the individual’s initiative to manage his/her own stress. That is, it’s about how individuals can take steps to manage their own stress in the workplace. There are different views about what contributes to work stress. Some say it has to do with worker characteristics (or qualities relating to the worker), while others say it has to do with the working conditions (Barling, Kelloway, Frone, 2005). What we need to do is think about interventions for work stress in terms of levels (primary, secondary, and tertiary [Leka & Houdmont, 2010]). The primary intervention targets the source of the work stress (i.e, the design, management, and organization of work). When we talk about how workers can better respond to and manage stress, that’s the secondary intervention. Secondary prevention intervention (often called stress management) is about changing the ways that individuals respond to risks or job stressors (Barling, Kelloway, Frone, 2005). Finally, there’s the tertiary intervention that provides remedial support for problems that have already manifested (Randall & Nielsen, 2010). For an excellent reference on the three levels of interventions (primary, secondary, and tertiary) see the article, “Solving the Problem: Preventing Stress in the Workplace (Booklet 3).” And for a comprehensive understanding, check out all three booklets in the Mental Health at Work… From Defining to Solving the Problem series (cited in the links below). But I don’t want to complicate things too much by talking about the different levels of interventions, so I’ll leave you with some tips for how to fight/manage stress at the individual level (targeting the secondary intervention level). (taken directly from Mental Health at Work… From Defining to Solving the Problem series – Booklet 1). Learn to identify the signs your body is giving you (increased heart rate, clammy hands, difficulties in concentrating, etc.) as this will help you do what is necessary to reduce stress. Learn to identify what increases your stress; by acting on the causes of stress, you can better control it. Learn to delegate – don’t shoulder all responsibilities on your own. Establish a list of priorities as this will help you to better manage your time. Suggest changes at work, talk about irritating situations with your colleagues and supervisor, and try to find solutions that are mutually acceptable. Develop a good support network and recognize that help is sometimes necessary to get through hard times. Exercise. In addition to the obvious health benefits, exercise will help you sleep better. Reduce your consumption of stimulating foods and beverages such as coffee, tea, chocolate, soft drinks, sugar or alcohol. Barling, J., Kelloway, E. K., Frone, M. R. (2005). Handbook of work stress. Thousand Oaks, CA: Sage. Leka, S., & Houdmont, J. (2010). Occupational health psychology. Chichester, West Sussex: Wiley-Blackwell. Quillian-Wolever, R., & Wolever, M. (2003). Stress management at work. In L. E. Tetrick & J. C. Quick (Eds. ), Handbook of occupational health psychology (pp. 355-375). Washington, DC: American Psychological Association. Randall, R., & Nielsen, K. (2010). Interventions to Promote Well-Being at Work. In D. Leka & J. Houdmont (Eds. 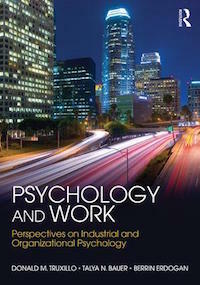 ), Occupational health psychology (pp. 88-123). Chichester, West Sussex: Wiley-Blackwell. 2016 August 22 Steve Nguyen, Ph.D. NOTE: For this book review, I intentionally and excessively quoted the authors throughout the post. I do this for two reasons: (1) I prefer to have the authors words speak for themselves rather than me interpreting, generalizing, or inadvertently misinterpreting their intent, and (2) It helps you, the readers, see the quality of their work/their writing. 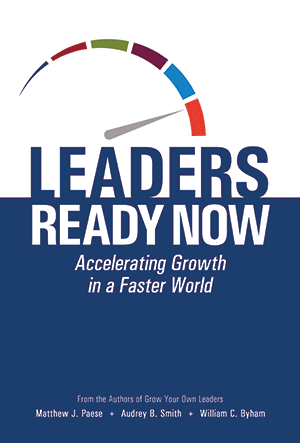 Leaders Ready Now is a book about preparing your leaders faster. “DDI’s global data suggests that when organizations look to their benches to find ready leaders for key assignments or promotions, half the time no one is there” (Paese, Smith, & Byham, 2016, p. 279). 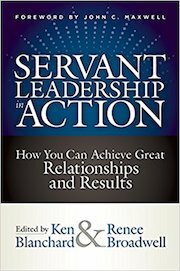 From the Introduction: “It’s a book about how to grow great leaders. . . . Those who feel their leaders are growing at a satisfactory pace will not be inspired [by this book]. This book will be useful only if you feel it is time to take bold steps to prepare your leaders for bigger challenges—more quickly, more continuously, and fully enough so that they are ready—ready to lead in the competitive, chaotic world that we have come to know as the new normal” (Paese, Smith, & Byham, 2016, p. ii). The authors (Matthew J. Paese, Audrey B. Smith, and William C. Byham) all work at Development Dimensions International (DDI). Dr. Paese is the Vice President of DDI’s Succession and C-Suite Services, Dr. Smith is Senior Vice President for DDI’s Talent Diagnostic Solutions, and Dr. Byham is DDI’s founder and chairman. The main premise to this Leaders Ready Now leadership development book is not that your company needs to have (or have more or better) tools, technology, or processes, but rather that there’s an absence of energy. Paese, Smith, and Byham approach the topic of accelerating leadership growth from a very different angle than other books. They maintain that if we’re not careful, the same tools and processes that we’ve set up to develop our organizations’ leaders may, in fact, rob us of the energy necessary to grow our leaders! 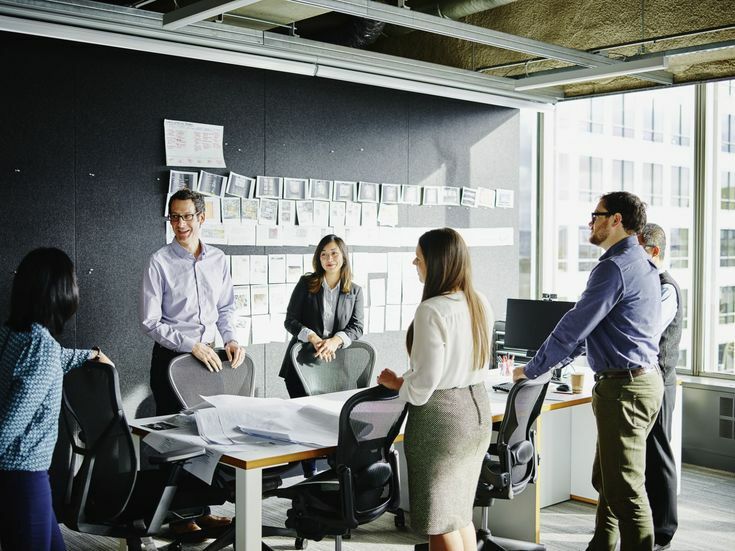 And if that isn’t frustrating enough, consider this: Although corporations have and continue to invest billions into readying its next generation of leaders, by all account and measures, leadership readiness has sharply declined. Reading and following the recommendations outlined in Leaders Ready Now is almost like hiring DDI to help you with your leadership development process and program, only much less costly. These same three authors co-wrote Grow Your Own Leaders in 2002 to “help you understand and implement systems that will identify talent and develop the high-potential people your organization needs to grow and prosper” (Byham, Smith, & Paese, 2002, p. vii). Leaders Ready Now follows up with how to grow your own leaders more and faster, and prepare them to thrive in a complex world. But readying leaders now doesn’t mean cramming more into our already frenzied organizations and lives or bombarding the minds of potential leaders. Instead, it’s about infusing energy into your efforts. “The most fundamental barrier to growing leaders quickly is a lack of energy, and that energy can be generated by boldness—your boldness” (Paese, Smith, & Byham, 2016, p. vi). 1. Your processes are draining/sapping energy. “It is not the process itself that is failing—it is the absence of energy to fuel it. Without energy, any processes you put in place will be unsustainable” (Paese, Smith, & Byham, 2016, p. viii). 2. There’s no “why.” “For management, the why is the business case for acceleration. In the absence of a strong one, it is difficult to convince senior executives to take any risks (much less big ones) with development” (Paese, Smith, & Byham, 2016, p. ix). 3. You’re doing things to leaders rather than with them. “If you aim to prepare more leaders—and do it more quickly—you must put them in the game, and much sooner than what might feel comfortable. You must play with them, learning and growing together, faster than you otherwise would” (Paese, Smith, & Byham, 2016, p. x). 4. You are keeping your own growth to yourself. “Growth is an effect that cascades from leaders to teams, from the CEO down. . . . For the energy of growth to become infectious, people at the top must model it. . . . Modeling growth is displaying experimentation with new approaches and hungrily gathering feedback so that the experimentation can iterate with a positive arc” (Paese, Smith, & Byham, 2016, p. xi). 5. Your company has an unhealthy relationship with failure. “Your senior leadership team’s orientation and response to failure will either catapult or kill your acceleration efforts. . . . Leaders in rapid-growth mode will, by design, face situations that test their mettle. But if the expectation is that they need to succeed in each instance, risk taking will soon be strangled, and growth along with it. To learn and grow quickly, they will need to struggle through the ambiguity, discomfort, and loss of failed attempts, and come back again to try different, hopefully better ways. With the right support before, during, and after their experiences, your leaders will gain the insight and capability needed to be ready for larger assignments” (Paese, Smith, & Byham, 2016, p. xii). I really like what Paese, Smith, and Byham (2016) wrote: “Don’t worry—we won’t be promising a silver-bullet solution or warning that you can avoid disaster only by adopting our unique and perfect formula. You don’t need us—not really. Everything you need to accelerate the growth of leadership is already inside your organization” (Paese, Smith, & Byham, 2016, p. iv). “Tools and technology do not grow leaders. Leaders grow leaders. . . . While the talent-management industry has poured incalculable resources into the advancement of tools and technology, the muscles of human effort for growing leaders have atrophied. It seems the more we invest in things, the less adept we are at investing in each other” (Paese, Smith, & Byham, 2016, p. v). 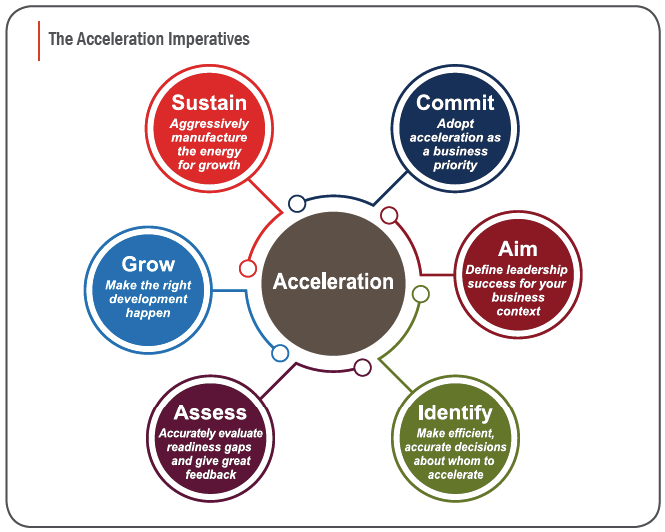 The key to remember about the Six Acceleration Imperatives is that you don’t need to be great in all six areas in order to make significant gains. You can still be “good” in several while concentrating on one or two areas. Paese, Smith, and Byham (2016) stated that many of DDI’s most successful clients actually select only one or two Acceleration Imperatives to focus on. 1. Commit: Adopt acceleration as a business priority. Senior management must sanction and actively own and participate in leadership acceleration efforts. “The most successful business strategies identify the few most-critical priorities and relentlessly pursue them. But somehow, leadership strategies don’t seem to receive the same rigor” (Paese, Smith, & Byham, 2016, p. 23). 2. Aim: Define leadership success for your business context. 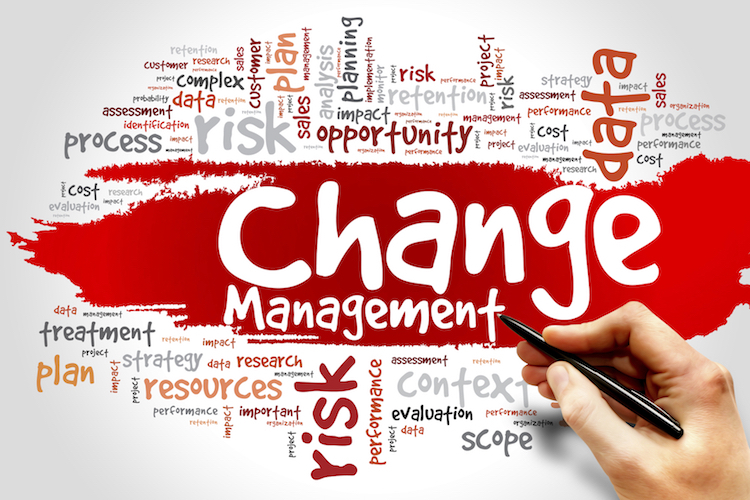 Successful organizations transform their competency model into a tool that management and individual leaders use to direct their efforts to where the business is heading, how the context is changing, and what they have to do to be prepared for it. Make sure your success profile measures and contains four components: business and organizational knowledge, experience, competencies, and personal attributes required for success (Paese, Smith, & Byham, 2016). 3. Identify: Make efficient, accurate decisions about whom to accelerate. Turn talent reviews into a talent investment by ensuring that it is done routinely, as part of business discussions. 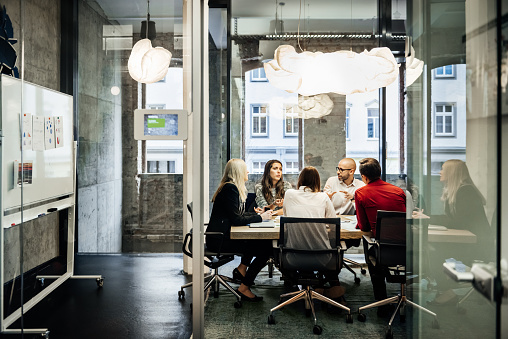 Use accurate data to isolate the most critical talent gaps, identify the individuals who have what it takes to grow as leaders, and have the resources to ensure that it happens quickly so leaders can be deployed where the need is greatest. “One of the most consequential actions you can take as you work to accelerate leadership growth is to integrate your conversations about leadership talent into your senior management team’s business discussions” (Paese, Smith, & Byham, 2016, p. 84). “In a talent review senior leaders must understand that the identification of potential is a decision to invest in growth, not a determination of readiness for promotion” (Paese, Smith, & Byham, 2016, p. 91). 4. Assess: Accurately evaluate readiness gaps and give great feedback. Successful companies are able to leverage talent data to allow top executives “to see how big bets (e.g., placing a young leader into a major leadership role) will play out and precisely how they can craft accelerated development plans that will make them pay off” (Paese, Smith, & Byham, 2016, p. xvii). “Your goal is not simply to accurately describe each individual, but to do so in a way that enables specific, objective conversation among your senior leaders” (Paese, Smith, & Byham, 2016, p. 115). 5. Grow: Make the right development happen. It is crucial that practice and experimentation become routine and are applied. Help emerging leaders ignite the application of leadership approaches that are necessary to business success. “[L]earning is not the same as growth. Learning becomes growth only when it is sustained and applied. And to convert leaders from not ready to ready now, growth must happen consistently” (Paese, Smith, & Byham, 2016, p. 161). “As you take action to cultivate your leaders’ skills, make sure they are specific skills your business needs, now and in the near future” (Paese, Smith, & Byham, 2016, p. 165). “The first lever to pull in making competency development happen faster is to ensure that the learner understands the Key Actions in the target competency and that he or she focuses on the highest-payoff Key Actions. This makes feedback, training, coaching, practice, and ongoing measurement much more precise and meaningful” (Paese, Smith, & Byham, 2016, pp. 166-167). 6. Sustain: Aggressively manufacture the energy for growth. Your acceleration efforts must last and this only occurs when you build passion, common purpose, and devotion to ensure that growth happens. “Make acceleration a discipline—a continual process that evolves and grows with each business cycle” (Paese, Smith, & Byham, 2016, p. 280). Each organization is unique so you’ll want to select a starting point (i.e., pick one or two Acceleration Imperatives) and make progress by “leveraging strengths and building in the areas that will create the greatest return within [your] unique business context” (Paese, Smith, & Byham, 2016, p. xviii). “The ready now mind-set means continually looking forward, scanning the environment to anticipate the next challenge, and working with discipline to prepare for it” (Paese, Smith, & Byham, 2016, p. 283). At first glance, Leaders Ready Now seems deceptively simple and easy to read, thanks to its clean layout and many colorful tables, figures, and graphics to illustrate and reinforce the crucial concepts and processes. But make no mistake. This is a handbook that requires you to take your time and really study it. Indeed, readying your leaders means making an investment in doing it right. I wish I had the Leaders Ready Now book when I was working on designing the succession planning and high-potential development process for my organization. It would have saved me so much time, and spared me the stress and anxiety of gathering and organizing disparate and often unreliable information scattered online and in an assortment of research articles and books. Leaders Ready Now is an incredible book written by three industrial/organizational psychologists at Development Dimensions International (one of the most respected leadership development consultancies in the world). The book is packed with clear, useful, and (perhaps most importantly) practical suggestions for growing better leaders, and growing them faster. Highly recommended! Byham, W. C., Smith, A. B., & Paese, M. J. (2002). Grow your own leaders: How to identify, develop, and retain your leadership talent. Upper Saddle River, NJ: Prentice-Hall, Inc.
Paese, M. J., Smith, A. B., & Byham, W. C. (2016). Leaders ready now: Accelerating growth in a faster world. Pittsburg, PA: DDI Press. Disclosure: I received Leaders Ready Now as a complimentary gift, but my book review was written as though I had purchased it. 2016 August 4 Steve Nguyen, Ph.D. I was contacted by a freelance journalist with the BBC for my thoughts about what social media has taken away from working professionals. I am reposting my response below (in a “Question and Answer” or “Q & A” format). Reporter Question: What do you think social media has taken away from us? In terms of taken away from working professionals. My Answer: One key thing I believe social media takes away (or we allow it to take away) from us is the ability to self-filter. It is too easy to post a quick one-word or one-sentence thought or vent to express our beliefs, our joys, our anger or frustrations at anything and at any given moment. The ramifications, especially as they apply to working professionals, (whether you’re an executive or a clerk) is that posting unfiltered contents online for the world to see, read, and/or hear about means that our social lives are now dangerously intertwined with our professional/business lives. And make no mistake, just because you’re “off the clock” from your paid job does not lessen the risks of getting yourself into trouble by posting things on Facebook, Twitter, Instagram, LinkedIn, and other social media sites. Reporter Question: Are people vilified for their views? Are they held in check for their political opinions? Does this stop people really expressing themselves? Has social media muted our opinions rather than giving us a platform to express ourselves? My Answer: I would argue that, rather than social media muting our opinions and our ability to express those opinions, it has, in fact, AMPLIFIED it to the nth degree. We have so many avenues through which we can record our views/opinions and there really are not many checkpoints to prevent us from writing/posting contents that might later prove to be extremely detrimental (personally and professionally) to ourselves and/or others. Reporter Question: What’s the cost of all the self promotion that goes on in social media? Reporter Question: Are we scared to over-share? Where has this fear come from? My Answer: I think we should all be very scared to overshare and those who aren’t scared should be very afraid. We share way too much of ourselves and our families online. People post pictures of their families and small children and talk about where their kids go to school, what their teachers’ and classmates names are, where the school is located, or that they’re on vacation hundreds or thousands of miles away, or they’ll overshare about their medical problems or surgeries. What these people have done is to freely give away important information about themselves and their loved ones to complete strangers online. This is how identity thieves and other perpetrators get your information or find out where you live and where your children attend school. I have heard about a person who posted on Facebook that she was away enjoying her vacation. Thieves broke into her home because one of the men saw her social media posting and knew that she wasn’t home. Reporter Question: Has social media actually taken away our freedom of expression? Because we want to be liked by everyone so we self censor? My Answer: I believe there’s actually less self-censoring because of the ubiquitous nature of social media. With our insatiable demand for short/witty/shocking infotainment-type of news bites and short video clips, there tends to be more weight/value placed on (1) being first to post anything, and (2) posting something that shocks and/or entertains. Because of this first-to-publish mentality, we can see why we’re less inclined to self-censor because we’re in such a hurry to produce something (anything) that’s funny or shocking. Reporter Question: And if you do over-share? How are we treated? Can posting something “inappropriate” get you fired? Or worse? My Answer: This has absolutely happened — that is, individuals posting something “inappropriate” which resulted in them getting fired from their jobs. Just Google, “posting something inappropriate and getting fired” or “employee fired over Facebook post” and see how many hits you’ll get! 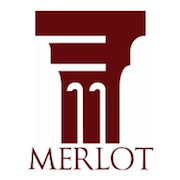 Many young adults do not support the use of social media in the hiring and firing decisions, and instead endorse a “very liberal view of the types of material that people should be able to post online without the threat of job termination” (Drouin, O’Connor, Schmidt, & Miller, 2015, p. 127). But, regardless of how one may feel about it, the consequences are real and can negatively affect an individual’s professional life and career. In fact, it has even acquired a not-so-friendly name — “Facebook Fired” — whereby employees are terminated from their jobs because of posts by them or even of them on social media (Drouin, O’Connor, Schmidt, & Miller, 2015). 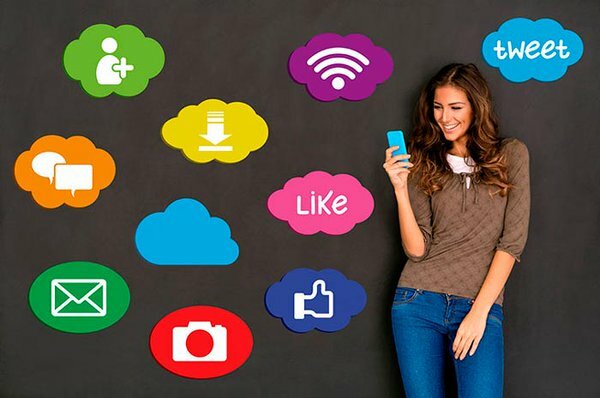 “[T]his generation of upcoming workers (young adults) must be informed that regardless of their opinions of the fairness of these policies [i.e., using social media in hiring and firing decisions], as it currently stands, their short-term social media use could have a long-term effect on their future careers” (Drouin, O’Connor, Schmidt, & Miller, 2015, p. 128). Drouin, M., O’Connor, K. W., Schmidt, G. B., & Miller, D. A. (2015). Facebook fired: Legal perspectives and young adults’ opinions on the use of social media in hiring and firing decisions. Computers in Human Behavior, 46, 123-128. 2016 April 13 Steve Nguyen, Ph.D.
About 15 years ago, I was enrolled in a counseling psychology Master’s program. It was quite good and I learned a lot back then and continue to use many of the counseling/coaching skills today in the corporate world. As part of the program, we were required to conduct counseling sessions with real clients and film these sessions (after securing the client’s permission) so that our classmates and professors could review these sessions and offer their feedback. One day, during a feedback session about my counseling skills (again, where my peers and professor watched a video of my counseling session with a client and provided their feedback), I listened to them go on and on about what I was not doing right, what I had missed, or that my timing to talk was off, etc. It is always hard to hear others criticize your work/performance but, by this time in the program, we had done this many times already so I was fine with receiving feedback, even tough feedback. This went on for some time (at least it felt that way) and I tried to be patient, thinking and hoping that my professor would cut them off because, after a while, it started to sound the same (that is, they started repeating what someone else had shared). Unfortunately, my professor did not jump in and the “feedback” turned personal and became attacks on my character. It was very surreal because I could not believe that this was actually happening to me (a counselor-in-training) and the sources of the attacks were my peers (other counselors-in-training) and then having a professor (who was also a practicing psychologist) just sit there and do nothing made the entire experience feel like a bad dream. I finally stopped them and told everyone that while I love and appreciate their feedback, because that’s how I learn, and although I try to always be open to feedback about my performance, when it turns into personal jabs, then that crosses the line and that’s where I have a problem. I told the professor that I was disappointed that she just sat there and did nothing while my classmates were attacking me (as a person) and not redirect them to focus on my actions (as a counselor). Next, I offered my own feedback to my peers and professor about how they completely missed the cultural perspective in evaluating my performance and that their perspectives and opinions about when to interrupt a client while the client was talking (in order to offer the suggested counseling response) and how to come across as “professional” failed to account for a cultural dimension (both the client’s and the counselor’s), one in which age and experience (or lack of one) both play an important role in how and how often one offers feedback. You would have thought that that might have been the end of it, but the attacks began again, with the professor sitting idly by not knowing what to do or not wanting to intervene. Again, I told the group that it felt like this was a character attack because they were criticizing my personality/character (or what they believed they “knew” about me) and not my actions in providing the talk therapy. My counseling classmates and professor were very fast to give out all sorts of feedback (ideas, tips, suggestions), but when it was given back to them, they weren’t just slow to accept it, they dismissed it entirely. In his book, “The Complete New Manager,” John Zenger shared that inside our minds is a picture of how we view ourselves. This mental self-portrait consists of our behaviors, values, and self-image. 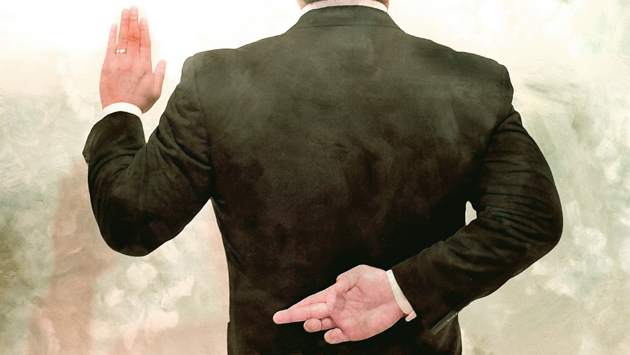 “In most cases, leaders with a fatal flaw are totally unaware of that flaw. For example, people who immediately reject others’ ideas would probably describe themselves as having such extensive experience that they know what ideas will succeed and fail. These individuals don’t know they are perceived as rejecting everyone else’s ideas” (Zenger, 2010, p. 167). Zenger explained that feedback that these leaders receive (from team discussions, 360-degree appraisals, or coaching sessions) convey messages which are contrary to how they view themselves. 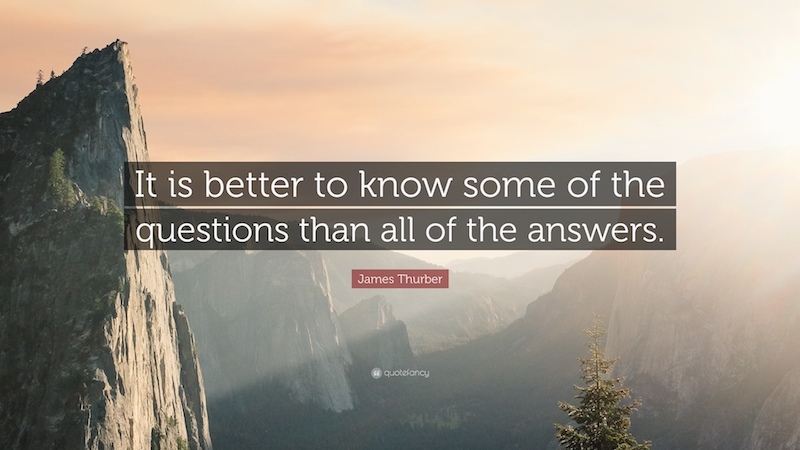 (1) Deny the information – It’s very easy to dismiss feedback from one or two sources, but when you receive feedback from multiple, reliable sources then it can be much harder to ignore. (2) Change their self-concept – Leaders admit to themselves that they do not know everything and that their own ideas are not the only good ones. (3) Change their behavior – Feedback is most powerful when it is actually applied to altering behavior. According to Eichinger, Lombardo, and Ulrich (2004) the single best predictor of who will advance up the corporate ladder and do well once there is — learning agility. Eichinger et al. said we demonstrate learning agility when we’re able to reflect on our experiences and be disciplined enough to change our behaviors. Ideally, the best way to predict leadership is to use a combination of cognitive ability (i.e., IQ), personality, simulation, role play, learning agility, and multi-rater assessment (i.e., 360-degree assessment). But if you only had one choice, use learning agility (Eichinger, Lombardo, & Ulrich, 2004). “Learning agility is the ability to reflect on experience and then engage in new behaviors based on those reflections. Learning agility requires self-confidence to honestly examine oneself, self-awareness to seek feedback and suggestions, and self-discipline to engage in new behaviors” (Eichinger, Lombardo, & Ulrich, 2004, p. 495). Takeaways: (1) It is essential that you take an honest look inside yourself. Be self-aware and brave enough to ask for feedback. And most of all, learn from and apply the feedback to improving yourself and your behaviors. (2) It can be very easy, especially for extroverts and people who love to talk, to give feedback to others, but those who tend to be quick to give feedback are sometimes slow to accept and apply feedback themselves. Zenger, J. H. (2010). The complete new manager: Essential tips and techniques for managers. New York, NY: McGraw-Hill Education. Are You Depressed Because of Your Job or Are You Depressed Regardless? 2016 March 1 Steve Nguyen, Ph.D.
A Careers Reporter for Business Insider contacted me about signs that a person’s job is making him/her depressed. I’ve been wanting to write about mental illness and the workplace but just never got around to doing it and was happy that this gave me a chance to do so. According to “Mental Illness in the Workplace” (Harder, Wagner, & Rash, 2014), depression is the most prevalent type of mental illness both inside the workplace and outside of it. Signs of depression (and I’m referring to clinical depression) include significant sadness lasting most of the day and occurring most days of the week. What’s more, many depressed people also have trouble sleeping and/or eating. They’re tired or are chronically fatigued, can’t concentrate, feel worthless, have thoughts about suicide, or have lost experiencing joy from activities that they once enjoyed (Harder, Wagner, & Rash, 2014). Other signs to look for, particularly in the workplace, are employees who look sad, angry, unmotivated, withdrawn, or who are tired with frequent mistakes or errors at work and/or decrease in performance or performance that’s inconsistent or unpredictable. They may also have interpersonal relationships that are stormy or diminished (Harder, Wagner, & Rash, 2014). High job strain – Is the job highly and psychologically demanding, with low decision flexibility? High stress, high threat – Does the job expose the employee to a high stress, high threat environment? Lack of or low support system – Is there support from colleagues and managers? Being or feeling sad, angry, unmotivated, or withdrawn. Feeling tired and making frequent mistakes or errors at work and/or being less productive or demonstrating performance that’s inconsistent or unpredictable. But, and I believe this is very important, we should also phrase it this way . . . Significant sadness lasting most of the day, and occurring most days of the week. Feeling tired or is chronically fatigued. Does not enjoy activities that you once enjoyed. Rocky or reduced interpersonal relationships. These problems are significantly interfering with your daily life. Harder, H. G., Wagner, S., & Rash, J. (2014). 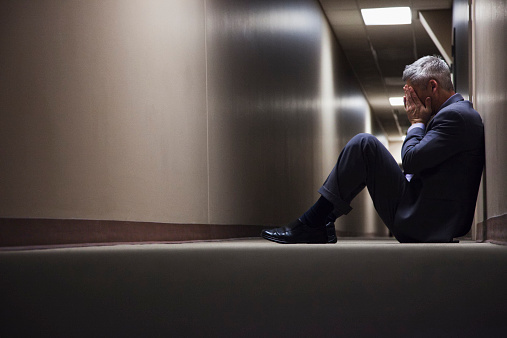 Mental illness in the workplace: Psychological disability management. Burlington, VT: Gower. VandenBos, G. R. (Ed.). (2015). APA dictionary of psychology (2nd ed.). Washington, DC: American Psychological Association. 2016 January 1 Steve Nguyen, Ph.D. Throughout 2015, one consistent and recurring theme kept appearing over and over again for me. Whether in the workplace or in a social gathering, I observed that there are people who need to put others down so they can feel better about themselves. I’m not sure what’s the root cause or causes of this behavior. It might have to do with low self-esteem, being afraid (of failing, of what others might say, etc. ), the desire to self-promote, the need to one-up someone else, or a combination of all these (or none of the above). I’m not certain. What I am certain is that engaging in these types of negative, mean-spirited behaviors (of putting others down) shines a very bright and unflattering light on your character, or lack of one. One reason, I believe, some individuals feel the need to criticize, belittle, disparage, or denigrate another person is because of envy — of the target’s career and financial success. Very few people get to where they are by accident or mistake. Regardless of how they were back in high school or college, they took active steps toward correcting their path and ensuring that their future states would be markedly different from their current states. Change does not happen overnight (unless you win the lottery). Therefore, from the time that these targets were viewed as “losers” (10/20/30 years ago, back in high school or college) to their current state of career & financial success today, they must have done many things right and worked hard (graduate from school, pass board exams, secure jobs and demonstrate their value to their organizations) to “earn their keep” (i.e., proved they’re worthy of the money, time, and effort their company has invested in them). Many people today want to skip the hard work part and go straight to the success stage (whatever that might be for them). I attribute this to youth, inexperience, not enough life lessons or scars, not learning from mistakes, no insight into own weaknesses, impatience, arrogance, feeling entitled, feeling envious, and/or bad advice from their friends or confidants. In my 20s I was hungry for success. I felt that I deserved a piece of the success pie that others seemed to enjoy. In my 30s I thought I had matured enough to earn the respect of others and therefore be given more important responsibilities and a higher place on the organization chart. I was wrong. Through the ups and downs, the doubts and fears, and getting kicked in the teeth by painful life lessons and experiences, and with the help of good, sound advice from my wife, and my relationship with God, I finally realized that I can be successful but only if I stop feeling sorry for myself, stop playing the victim, stop blaming others or put them down, and start “owning” my situation and life, and come up with a game plan for how to go about getting the job or attaining the education or certifications I had always desired for myself. It was only when I stopped letting others dictate the story of my life and instead started writing my own life story that I began to enjoy the “success” (for me) that I had once envied of others. The irony is that, as Shawn Achor (2010) shared in his book The Happiness Advantage, when we’re happy first (e.g., not feeling the urge to put others down), then we’re in a better position to start enjoying the success—both at work and in our personal lives—we’re hoping for and dreaming about. Takeaway: Forget about what other people are doing with their lives. Try focusing on being happy and improving your own life by creating and mastering small, achievable goals instead. When you’re happy with your life, you won’t have time or energy to worry about other people or feel the need to talk bad about them. Remember, you do not need to put others down to lift yourself up. 2015 November 13 Steve Nguyen, Ph.D.
I’ve heard college students and even business professionals claim that listening to music while working made them more productive. While it’s true that music can lift your mood and give you a relaxed focus, it can also decrease your performance on cognitively demanding tasks. So when can music improve performance? Annie Murphy Paul, in an article in Time.com, wrote “Music can improve performance when a well-practiced expert needs to achieve the relaxed focus necessary to execute a job he’s done many times before.” For example, surgeons often listen to music while they’re performing surgeries and they’re more effective. The irony, however, is that while the surgeons’ preferred music helped them, the music was distracting to others who work alongside them, such as the anesthetists. When you are doing repetitive or routine tasks (e.g., folding laundry or filing papers), listening to music can make it less boring. But when you need to perform cognitively demanding tasks, music can actually be distracting. What’s more, singing along to the music may further increase the distraction. TIME.com – Listening to Music While Working: Does It Hamper Productivity? 2015 September 10 Steve Nguyen, Ph.D. In a previous life and time, I worked as a mental health counselor. I was trained in the art of listening and would periodically have my listening skills evaluated by professors, supervisors, and even peers (on videos and in live sessions). It was stressful and sometimes I felt more like the patient/client than the therapist. After pivoting from the mental health field to the corporate world, I was naïve enough to think that I would no longer need to tap into my counseling skills. Today, more than a decade after leaving my counseling life behind and much to my surprise and delight, I continue to find my counseling skills useful when interacting with people. In particular, I’m seeing many areas in the business arena that are in desperate need of the skills of a counselor. It is incredible to me how quick business people are to talk before hearing what the other person has to say. Let me share one example: I had scheduled a meeting about a project and prior to the meeting, had sent out an email outlining the purpose of the meeting as well as the limited parameters within which we had to work. Once the meeting started, a woman began suggesting ideas on how to improve things. They were fantastic ideas. The only problem was that these great ideas were not applicable to the project nor were they aligned with the reason for the meeting. Had she listened to what I was explaining at the start of the meeting — the presentation is limited to one hour so we are limited by what we can do — then she would not have wasted her time talking and everyone else’s time listening to her go on and on. The business environment demands that a person speaks up in order to be noticed and, sadly, many are too quick to talk rather than listen to another person talk. It’s as if talking first and fast is somehow a sport and the first one to speak wins. Given this context, we can see that listening achieves the exact opposite effect (i.e., listening means not talking much and not drawing attention to yourself because you’re not talking). Lombardo and Eichinger (2009) observe that people who are unskilled in listening tend to cut others off or try to finish other people’s sentences. They’ll interrupt as someone is talking to try to force their point across. Because they’re too busy trying to think about their own responses, it’s easy to see that they’re actually not listening. As a result, others form opinions about the person not listening, such as he’s arrogant, or doesn’t care, or does not value others. Perhaps they might think this person is too busy, has selective hearing, or is just impatient or insensitive. One of the dangers of talking too much and not listening is that you’ll completely miss the point that the other person is trying to make, and even worse, when you restate or relate the conversation (if you can even call it that), you’ll restate it incorrectly because, not surprisingly, you weren’t listening and got the facts and important points all wrong! 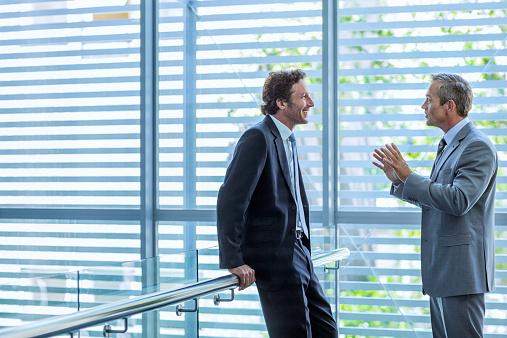 In The First-Time Manager, Belker, McCormick, and Topchik (2012) said the ability to actively listen is one of the best-kept secrets of successful management. “[Y]ou don’t want to dominate the conversation . . . Rather, you want to create a dialogue in which you speak only about one-fifth of the time” (Stone, 2007, p. 77). One important caution about active listening is that if your only goal is to check off the list of active listening how-tos (i.e., maintain eye contact, nod your head, paraphrase) then even active listening can become mechanical. You MUST concentrate on listening, not just demonstrate that you are (Nichols, 2009). Takeaway (from The First-Time Manager): “Active listening is one of the most valuable traits [you] can demonstrate for two important reasons: First, if you do a great deal of active listening, you will not be thought of as a know-it-all, which is how most people perceive someone who talks too much. Second, by doing a lot of active listening and less talking, you’ll learn what is going on and gain insights and information you would miss if you were doing all the talking” (Belker, McCormick, & Topchik, 2012, p. 24). Belker, L. B., McCormick, J., & Topchik, G. S. (2012). The first-time manager (6th ed.). Washington, DC: AMACOM. Lombardo, M. M., & Eichinger, R. W. (2009). FYI: For your improvement: A development and coaching guide (5th ed.). Minneapolis, MN: Lominger International. Nichols, M. P. (2009). The lost art of listening: How learning to listen can improve relationships (2nd ed.). New York, NY: Guilford Press. Stone, F. M. (2007). Coaching, counseling & mentoring: How to choose & use the right technique to boost employee performance (2nd ed.). Washington, DC: AMACOM.